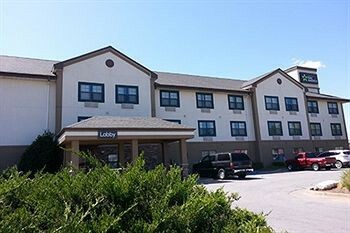 Property Location When you stay at Extended Stay America Oklahoma City - Airport in Oklahoma City, you&apos;ll be near the airport and convenient to Celebration Station and White Water Bay. This hotel is within close proximity of EB Jeffrey Park and Harlow Park.Rooms Make yourself at home in one of the 101 air-conditioned rooms featuring kitchens with full-sized refrigerators/freezers and stovetops. Complimentary wireless Internet access is available to keep you connected. Conveniences include desks and microwaves, as well as phones with free local calls.Rec, Spa, Premium Amenities Make use of convenient amenities such as complimentary wireless Internet access, a picnic area, and complimentary use of a nearby fitness facility.Dining Quench your thirst with your favorite drink at a bar/lounge. A complimentary continental breakfast is included.Business, Other Amenities Featured amenities include a 24-hour front desk, laundry facilities, and a safe deposit box at the front desk. Free self parking is available onsite.